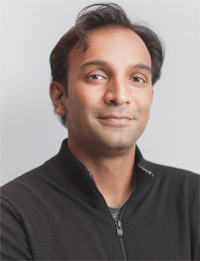 University of Maryland alumnus Dr. DJ Patil (M.A. ’99, Ph.D. ’01, Applied Mathematics) has been named the nation's first Deputy Chief Technology Officer for Data Policy and Chief Data Scientist, joining the White House staff in the Office of Science and Technology Policy (OSTP). According to an announcement from the White House OSTP, Patil will help shape policies and practices to help the U.S. remain a leader in technology and innovation, foster partnerships to help responsibly maximize the nation’s return on its investment in data, and help to recruit and retain the best minds in data science to join us in serving the public. Patil has served as a data scientist in the public and private sectors, as well as in academia. Most recently, Patil served as the Vice President of Product at RelateIQ, which was acquired by Salesforce. Patil also previously held positions at LinkedIn, Greylock Partners, Skype, PayPal, and eBay. Prior to his work in the private sector, Patil worked at the Department of Defense, where he directed new efforts to bridge computational and social sciences in fields like social network analysis to help anticipate emerging threats to the United States. As a doctoral student and faculty member at the University of Maryland, Patil used open datasets published by NOAA to make major improvements in numerical weather forecasting. He holds a master's degree and a PhD in applied mathematics from the University of Maryland, and a bachelor’s degree in mathematics from the University of California, San Diego. To read the complete announcement from the White House OSTP, visit: http://www.whitehouse.gov/blog/2015/02/18/white-house-names-dr-dj-patil-first-us-chief-data-scientist.